The Princeton Junction train station now has more bike parking for our many bike commuters. 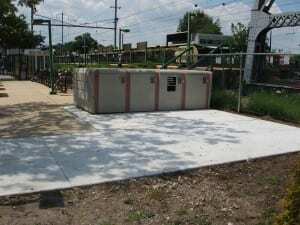 A new eight-locker unit has been added to the east side, near the first set of steps in the daily parking lot (with room to add more as needed), and four new bike racks have been added to the west side between the Trenton-bound tracks and the Dinky. 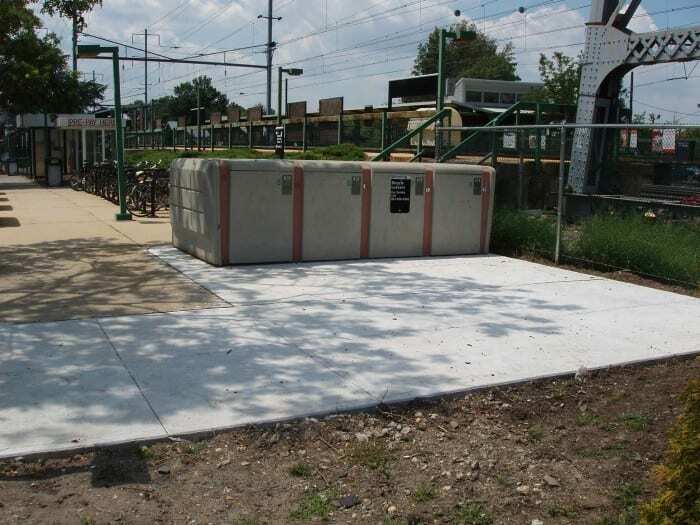 The WWBPA coordinated the project, which involved six entities, and managed the installation of the new concrete pads, which was contracted to Trenton’s Capital City Contracting Co. 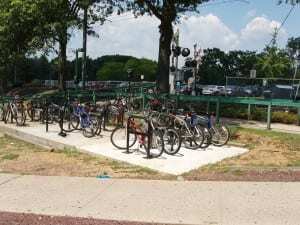 The lockers and racks were supplied by New Jersey Transit, and West Windsor Public Works handled the installations of both the lockers and racks. All of this was made possible through a four-way cost-sharing among the West Windsor Parking Authority, West Windsor Bike Fest, Greater Mercer Transportation Management Association (GMTMA), and the West Windsor Bicycle and Pedestrian Alliance through its membership dues. 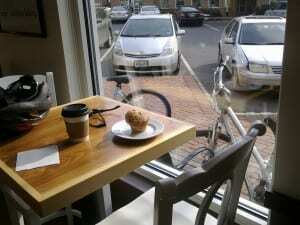 Thanks, all, for helping make West Windsor a more bicycle-friendly community! The racks were filled the day after they were installed, and the new lockers will help shrink the existing waiting list. Anyone wishing to rent a bike locker should contact GMTMA at 609-452-1491 x224. The cost is $7.50 per month for six months ($90 per year). Contracts are automatically renewable. 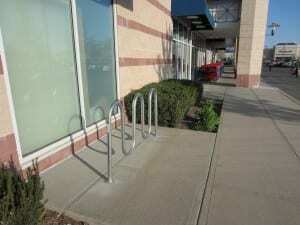 As part of the store’s expansion, bike racks were recently installed in front of Trader Joe’s grocery store. Now it’s even easier to bike to the grocery store! If you’re heading to Trader Joe’s from east of Route 1, there’s a nice short cut from New Meadow Road along the old roadway alignment that’s traffic-free until you get to the apartment complex. It even saves you a traffic light and the short hill. 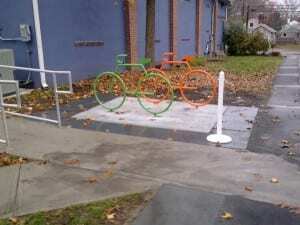 The next time you visit the Arts Center, check out the colorful new bike racks on the side of the new building! 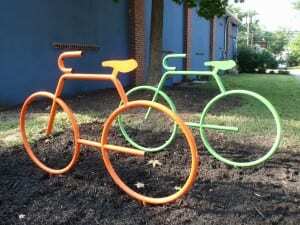 A big thank you to the township, Arts Center board, and especially to BikeFest, which kindly paid for them. Nice! 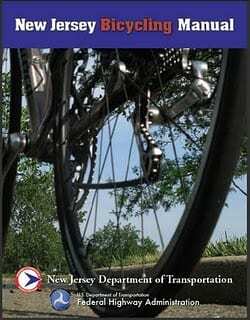 Freehold is about to release a study by the New Jersey Department of Transportation about how to make the borough friendlier for bicyclists. But turning the study into reality is hardly a slam-dunk. Its supporters need our vocal support to help businesses overcome fears about cyclists on the sidewalk and bikes that aren’t locked to bike racks, among other things. (We say cyclists can bring in extra business, particularly if downtown is on a safe route to the Shore.) The key meeting is Monday, Dec. 20. About one year ago, I was elected as a councilman in Freehold Borough. One issue that immediately reared its head was an ordinance that was passed (before I was sworn in) which required bikes to be parked at bike racks in town, despite a dearth of bike racks. I railed against this issue, and soon thereafter secured a NJ DOT grant to have a bike-ped study of the town. That study is about to be unveiled to the public for their review and comment, but I am learning of some opposition to the study, namely how it could affect the downtown. I am reaching out to bicycle advocates so that they can assist me in garnering support to ATTEND the meeting and bring their views of the benefits of a bike-friendly community. Being in Freehold Borough, some items in the DOT study were to link the Henry Hudson Trail to the downtown, link the rest of the 1.9 square mile borough to the downtown, and linking the borough to points outside its boundaries, such as the Monmouth Battlefield and other nearby parks. 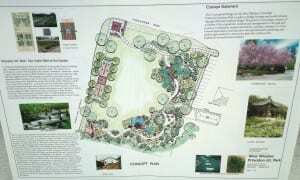 Also, within town is proposed a bike path/trail. This will map out places of historic interest and a tour of Springsteen’s Freehold. Of course, the study also takes into account safety of bicyclists and pedestrians. As noted, there is some resistance. I would appreciate it if you and your friends could help me by attending the December 20, 2010 meeting. 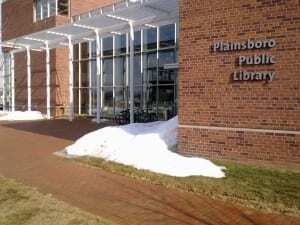 The public portion starts at Freehold Borough Hall at 4:00 until 6:30; then the council meeting starts at 7:00 where a presentation will be made directly to the mayor and council. Your support and input will be greatly appreciated as well as your comments on the beneficial aspects bike-friendly communities – the concept still has to be sold. You can read more about what Freehold has been doing on WalkBikeJersey. The state also has mapped a route that goes through Monmouth Battlefield. And did you know this about Freehold’s role in bicycling history? 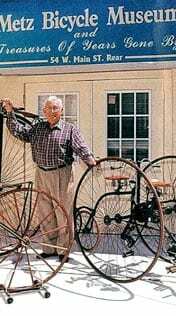 Cycling champion Arthur Augustus Zimmerman resided in the town during his racing career in the 1880s and 1890s, and from 1896-1899 operated the Zimmerman Bicycle Co.; the company’s bicycles were known as the “Zimmy.” Today, Freehold Borough is home to the Metz Bicycle Museum, where the only extant “Zimmy” can be seen.